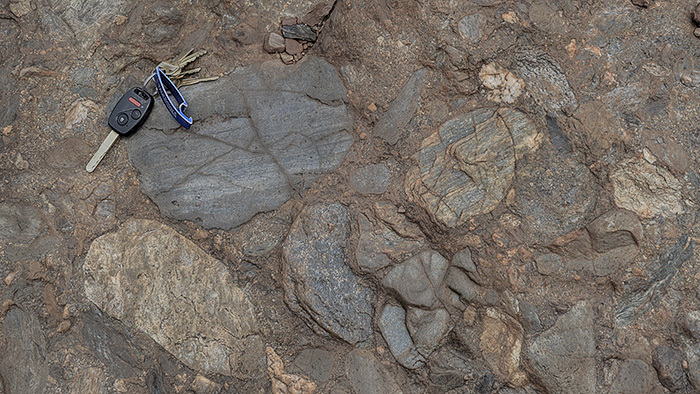 … a party of geologists that is. 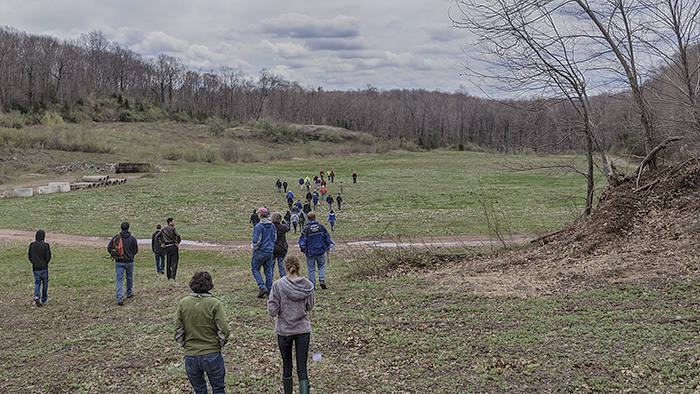 Jon and Christoph spent a long Saturday on a field trip highlighting the Quaternary geology of Connecticut. 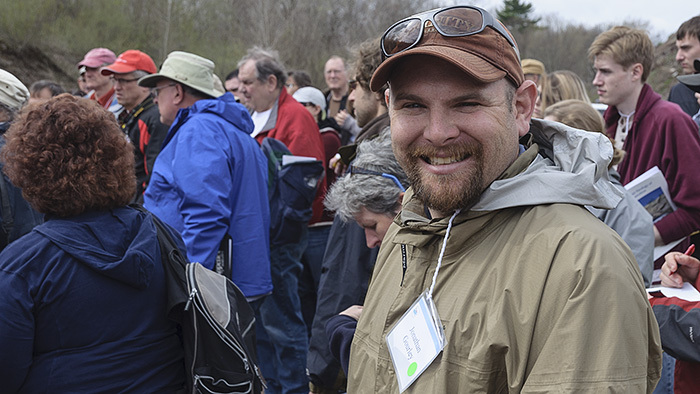 The trip was organized by the Connecticut Geological Society (both Jon and Christoph are founding members!) 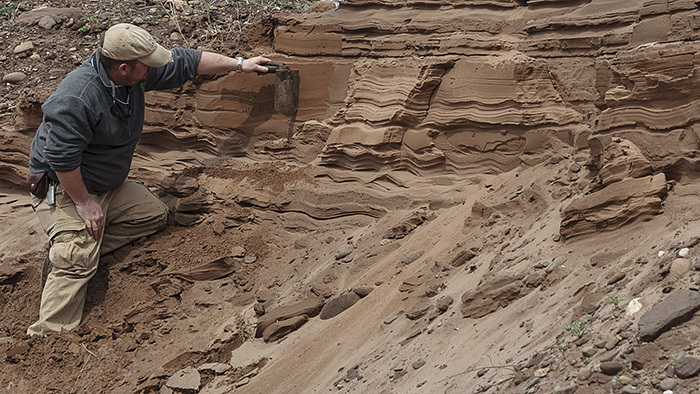 and led by Dr. Janet Stone who works for the USGS and is the expert on the state’s glacial geology. We could not have wished for a better field trip leader! 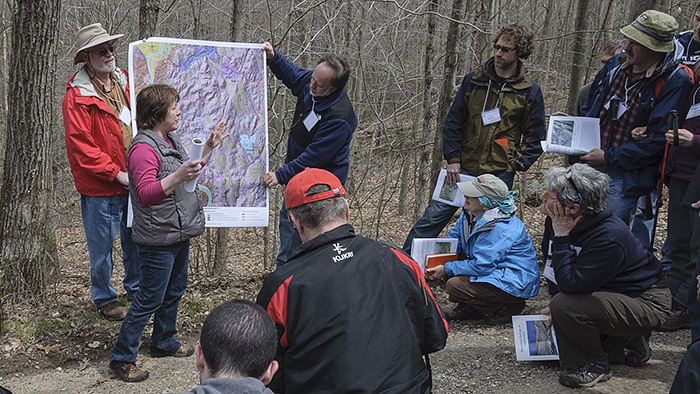 Dr. Janet Stone explaining the finer points of Connecticut's glacial geology. 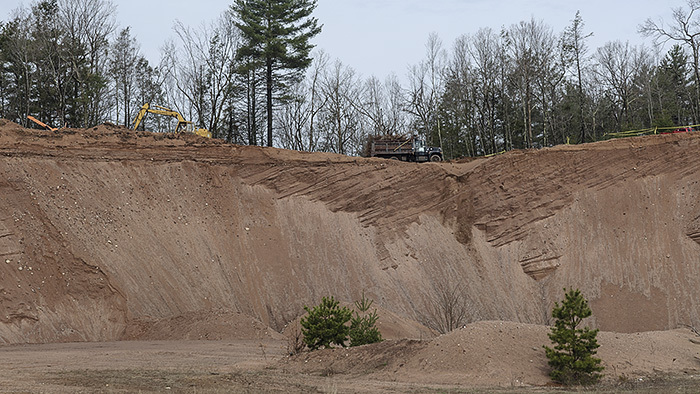 We visited numerous gravel pits to look at glaciofluvial deltas – what, you don’t know what that is? 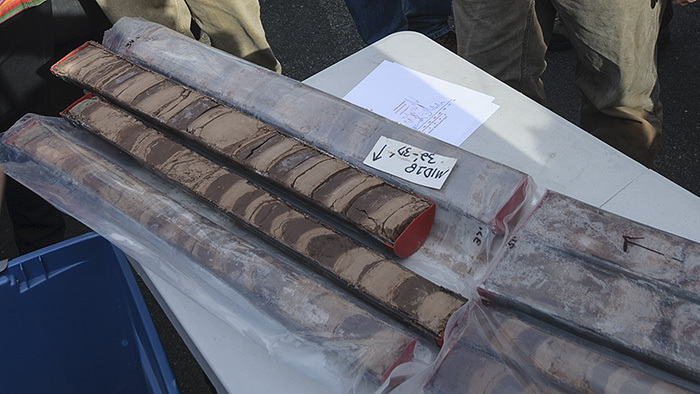 Well, should have joined us on the trip…, looked at sedimentary structures and had a great time in the field. The day ended with a barbecue at Dinosaur State Park, but by that time I was too busy talking to my colleagues to take more photos. Jon in his second gravel pit of the day. Forset and topset beds plus a dump truck for scale - what more could one wish for? Look at these climbing ripples! 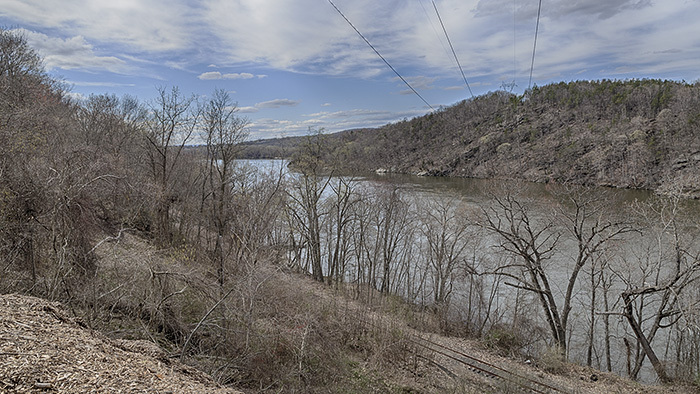 the Connecticut River leaves its Mesozoic valley and heads for the hills. Some of the best glacial varves in the state. Last stop of the day: the enigmatic pingo scars of Lake Middletown. Sarah, who has been our McKenna Meredith, Class of ’48 Postdoctoral Fellow in Environmental Science (longest title in the program !) for the past two years, is moving to the south. Sarah accepted a faculty position at Armstrong Atlantic State University, where she will teach analytical and environmental chemistry. 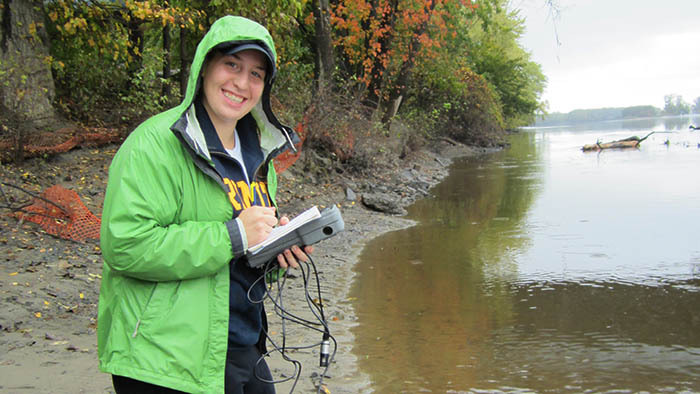 Sarah and her two research students Emily and Kate spent numerous hours on the Connecticut river and several small ponds to study freshwater carbon dynamics. 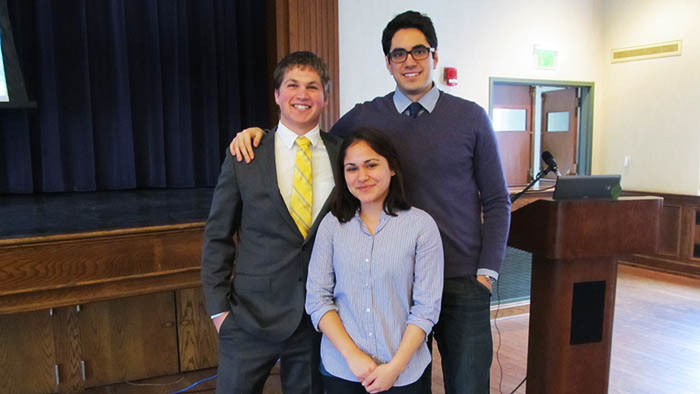 She presented her research a few weeks ago in the second annual McKenna Meredith … (you get the idea) lecture. Kate pretending to take data. 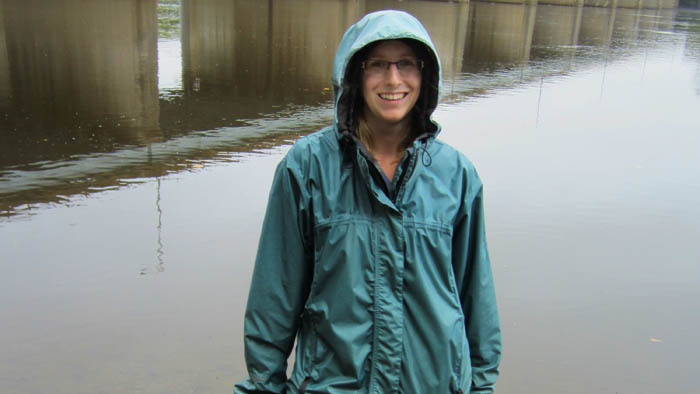 At Trinity, Sarah has taught courses in environmental chemistry, oceanography and climatology. We’ll miss her and wish her all the best in her new job! 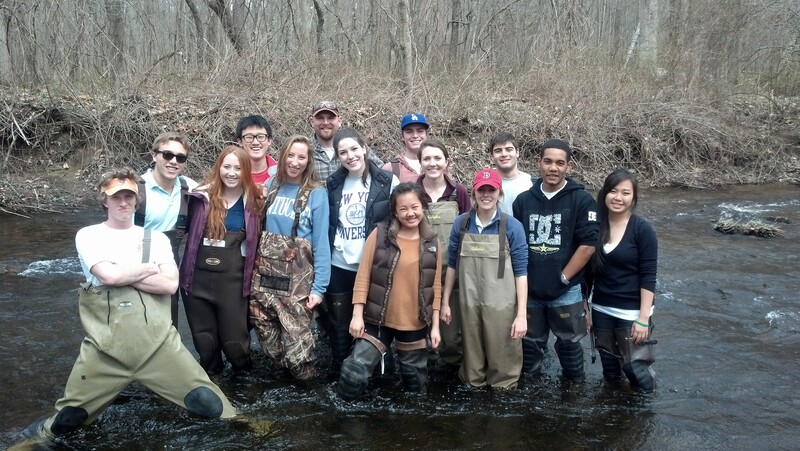 Last week’s intro lab featured aquatic insect collection at the Mt. 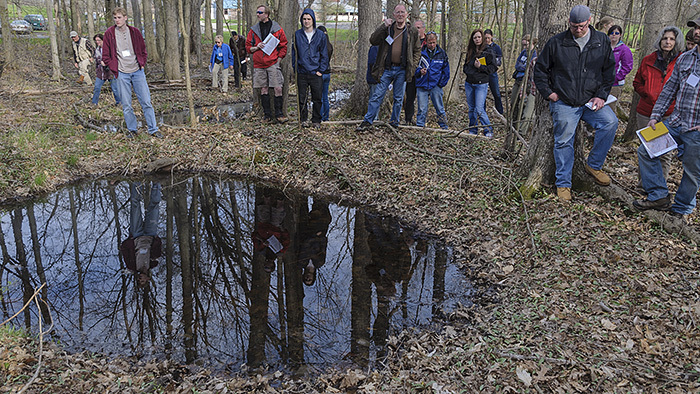 Hope River, a rite of passage for all ENVS students. We were lucky with great weather for both Tuesday and Thursday and river conditions were ideal for collecting bugs. Patrick “Hoagie” Hoagland perfected the kick net technique now known as the Hoagie Shuffle. Thursday’s section was especially into taking photographs. 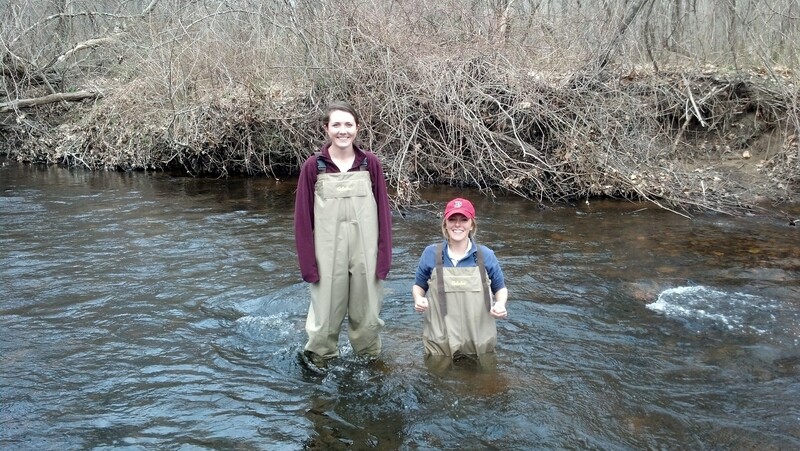 Sarah Black and Lauren Tierney demonstrated the usefulness of chest waders because who knows when you will step into a deep hole! 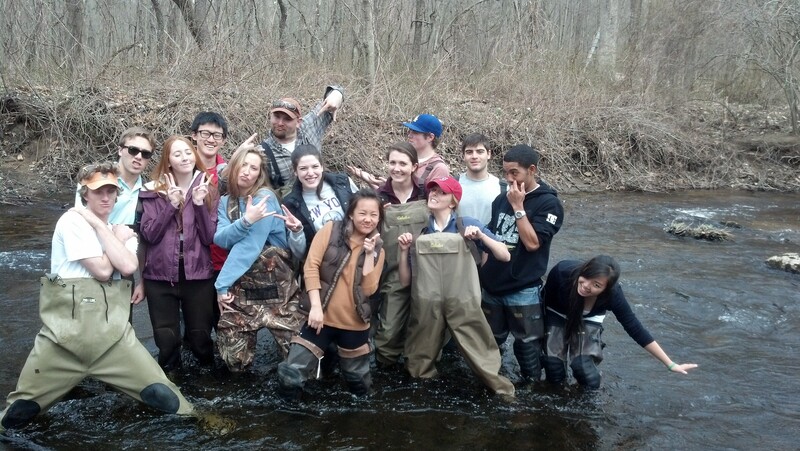 As usual, several students learned the hard way and borrowed old rubber hip waders from the ENVS stock…holes and wet socks were inevitable! Both sections collected excellent sample populations and fun was had by all. Despite awesome weather we had to skip McCookout this week. Alison Draper invited everybody to hear about student research at the joint science presentations. About 250 student and faculty met in the Washington room to have lunch (pizza) and listen to three talks from chemistry, neuroscience and psychology. What – no environmental science you ask? Relax: Stephani had us all covered a few weeks ago, when she presented her research on grassland fires and soils. 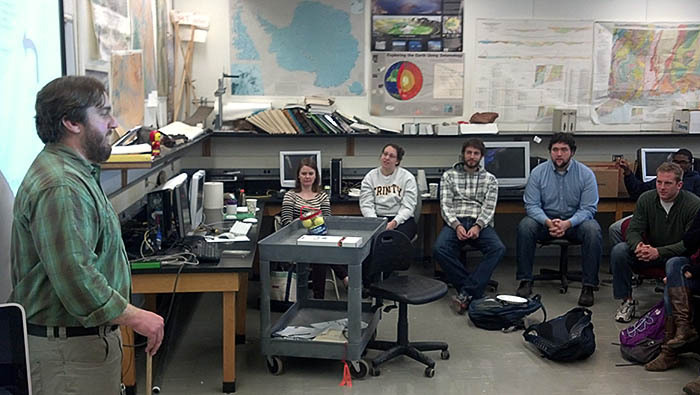 Scott Soricelli, a geologist from the environmental consulting firm Woodard and Curran gave a presentation to ENVS students in the geology lab over the common hour period about working in the environmental consulting business. Lured to the event by fresh First & Last pizza, and perhaps the prospect of a future career, fifteen students were engaged in a prolonged question and answer period. They asked Scott excellent questions on what skills one needed to enter the field at the entry level and what types of projects they’d be expected to work on. Scott focused on technical writing to be the primary skill a new hire should have. He also mentioned other requirements such as the willingness to work outside for at least the first few years, the ability to communicate effectively with team members, and mapping skills such proficiency with ArcGIS. He also suggested that the ability to conduct a research project from beginning to end (e.g. a senior thesis or multi-semester project) was an excellent feather in one’s cap, considering the competitive nature of the job market. While graduate school is a plus for the environmental field, Scott said that his firm hires people right out of college as well. A little bit of wind and rather frigid temps is not enough to deter us! 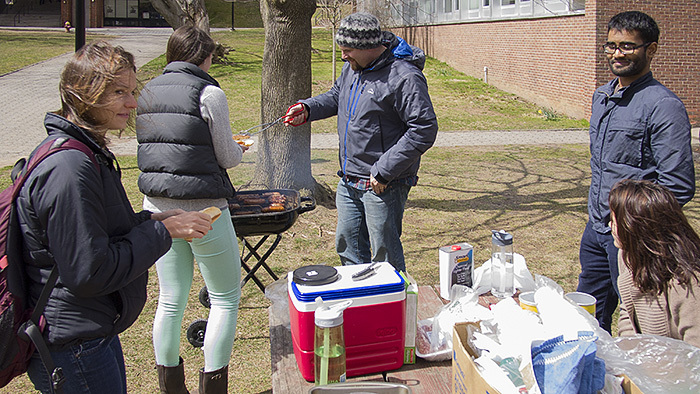 Despite rather cold and windy conditions we had our first McCookout in its new location. Construction continued on the other side of McCook Hall, so the folks at Aramark were nice enough to put a picnic table next to the McCook parking lot and we were good to go. 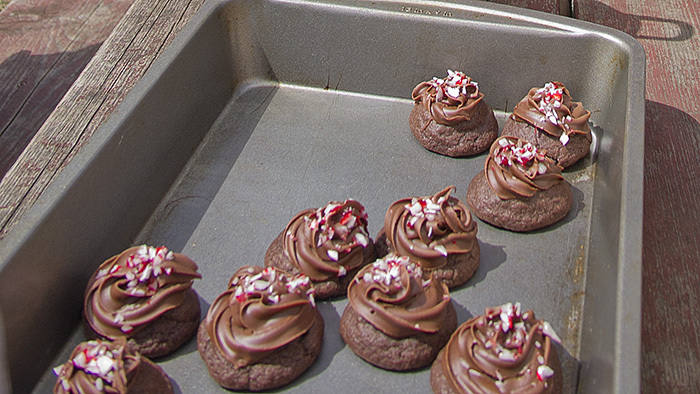 Jon lit the first fire of the season, Christoph brought an apple pie and a bunch of sausages, Sarah brought some mystery dessert (see below), and Joan contributed – you guessed it – veggie burgers. 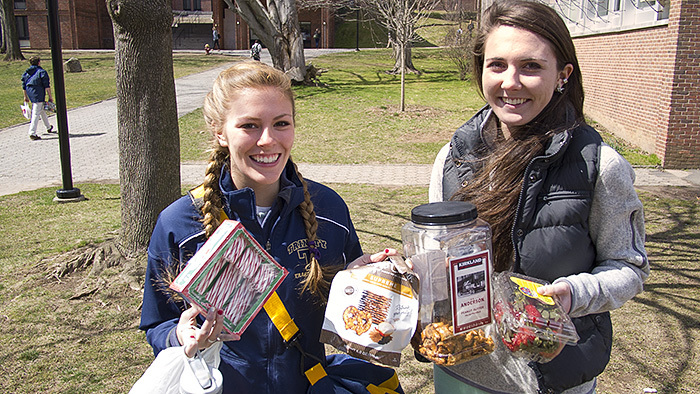 The top contribution came from our freshmen: candy canes and an assortment of other goodies. Maybe the start of a new McCookout tradition. Lauren and Sarah bringing gifts. Despite the frigid temperatures we had a blast and are looking forward to next Tuesday.